Three things drive Jamie Stephenson Goguen: gratitude, faith, and juice. 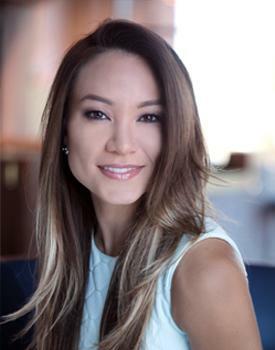 And since co-founding The Juice Standard (TJS) in 2014 beside her longtime best friend Marcella Williams, as TJS’s CEO, Goguen has helped transform the company from a business to a movement, built on the back of those tenets as she strives to improve Las Vegas’ collective health, one cold-pressed sip at a time. Goguen came by that poetic passion for juice honestly, when a 2004 post-college move home with her family revealed a singular rule for everyone under her mother’s roof: No one could eat outside the house. Months earlier, Goguen’s stepfather was diagnosed with advanced colorectal cancer. Given 7 months to live, in an effort to save her new husband, Goguen’s mother turned to what she knew best: good food. My mom went from shopping at Costco every weekend—loading the pantry with goodies and sweets— to stocking brown rice, kombu and organic and responsibly farmed meats and produce. We went completely macrobiotic. Vegan, too, for a while. Juicing was an everyday part of our lives. The rule was, I could live there rent-free…but I had to eat and drink only food made by my mother’s hands. One year later, my cystic acne had completely vanished and I trimmed up and felt great. Five years later, while celebrating Walter’s birthday as a family, it hit me: Diet is more important than we ever realize...and we don't usually realize that until we’re faced with a life-altering situation. Walter eventually passed, but as a family we saw him live longer and stronger thanks to my mother’s iron-fisted proper nutrition, and with love in his heart from our family banding together around him in food and spirit. The company’s dedication to customer service is so second-to-none, which in part led to TJS being named “Best Of Las Vegas” by the Las Vegas Review-Journal. Goguen also plays a leading role in the creation of new juices; ensuring produce is sourced from local organic farms; and overseeing the company’s marketing and external vision. As a Las Vegas local who has seen trends hit and miss The International Entertainment Capital of the World, TJS was born of Goguen’s notion that despite its 24-hour access to everything, Sin City’s accessibility to high-quality, cold-pressed juice and juice cleanses was sorely missing. Though thanks to TJS (and Goguen’s wholehearted reverence for nature and nutrition education), that’s no longer the case. I am inspired by the cycle of life, and the fact that what we toss as trash can be composted to create and support humus that teems with micro-organisms that make way for new life…from seedlings to plants; from plants to food for our tables; from food on our tables; to food for our souls. I am inspired by Earth’s water cycle and the process of photosynthesis, and that rain falls, sun shines, seeds sprout, and The Juice Standard gets to press juice from produce and serve it to Las Vegas….We look forward to bringing to the Las Vegas community a product made with the utmost integrity and quality, as well as the visceral experience of drinking juice, which at its core is liquid sunshine born of the Earth’s transformation. It blows my mind! It is simply divine. As a girl, Marcella Williams’ diet included the same balance of healthy and kid-pleasing, belly-busting foods just like the rest of us…but when motherhood rolled around, her views on health changed. More enthralled by nutrition than nachos, the onslaught of research this young mother was exposed to—linking pesticides and chemicals to later-in-life medical problems, developmental delays and diseases—was a powerful jolt toward Williams’ recognizing that we truly are what we eat. Receiving her first juicer in 2007 and, soon after, taking a life-changing trip to Greece changed her approach toward nutrition forever. I was blessed with the opportunity to travel to Europe and stay for a significant amount of time, where I experienced a clean Mediterranean diet. It included weekly trips to the laiki (“farmers market,” in Greek) and really allowed me a chance to get my family on a healthy path. While not vegan, upon our return we incorporated juice into our daily lives and eliminated processed meats and foods. That was years ago, but to this day there is no soda in my house, and my children know that at any time they can go to the fridge and pull out seasonal fruit for a snack to satisfy their sweet tooth. Just by eliminating artificial substances from my cupboards and replacing them with “real” food broadened my children’s taste buds. Now that they’re older, they can make their own choices…but it’s not unlike my son to ask me to peel a kiwi or avocado as his chosen snack. 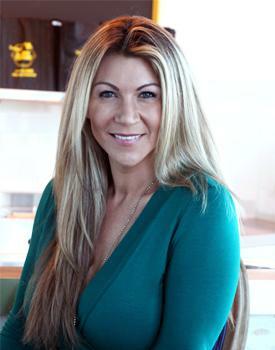 Today, this culinarian, juicer and proverbial “mompreneur” has stretched her passion for organics and clean eating beyond her own kitchen as co-founder and COO of The Juice Standard (TJS)—awarded “Best Of Las Vegas” by the Las Vegas Review-Journal—where Williams develops the juicery’s recipes for signature juice blends, nut milks, smoothies, specialty espresso drinks, and “chewables,” all using organic produce procured as local to Las Vegas as possible. An avid advocate for the preservation of bees—TJS’s mascot for their important role in pollinating our every one in three bites of food, and the organic produce on which TJS depends—Williams is tongue-in-cheekily a self-professed “organic smoothie master.” Along with her best friend of 15 years, Jamie Stephenson Goguen, Williams and Goguen have fused their passion for cold-pressed juice and a life well lived by founding a company to which Williams also lends her award-winning taste and more than a decade in culinary arts. My inspiration for growing this company stems from the number of people of who have shared with us how TJS has helped change their lives,” says Williams. “It’s truly remarkable! So my vision stays the same: Over the next 5 years, I want to continue to help people change their lives and improve their health with juice. And I want our company to continue to lead by example—with transparency and genuine goodness in our hearts—all while expanding our menu to constantly offer Vegas more to sip and chew on.